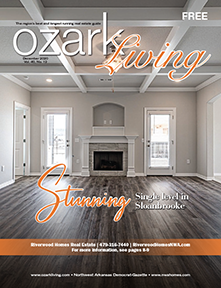 Stunning New Build In Bentonville’s Waterford Park! Two Level Home On Huge 0.73 Acre Lot. 4 Beds + Office + 2nd Level Media Rm; 3 Car Garage. Open Concept. Big Windows Throughout Home. Dual Islands In Kitchen. Built-in Oven & Micro; Separate Cooktop. Large Pantry. Eat-in + Formal. Master Suite w/ Split Vanities, Custom Shower w/ Rainhead. 10×13 Walk-in Closet! 1 Guest Bed On Main; 2 Beds Up Connected By Jack & Jill Bath. Covered Front Porch + 10×15 Rear Patio. Contract Early To Make Selections/Upgrades.